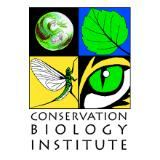 The Conservation Biology Institute (CBI) is a non-profit 501(c)(3) founded in 1997 in Corvallis, Oregon. Since then, it has expanded with the main office still located in Corvallis and a branch office in San Diego, California. We utilize GIS and remote sensing data to conduct research, assessments, and planning in support of conservation projects globally. At CBI, we believe that saving the natural treasures on this planet is of paramount importance, and we feel a world without things "natural, wild, and free" is a lonely and dangerous one for our present and future generations. We are committed as scientists and as human beings to doing our best to create a better future. We believe humanity is responsible for the current ecological crisis, but we also believe humanity can create an alternative future - one that benefits all life. By blending our talents and skills with others who share our passion, we hope to contribute to finding solutions to many of conservation's greatest challenges. Data Basin is a global online data-sharing tool developed by Conservation Biology Institute that allows users to view and explore biological datasets, upload or download data, produce and share customized maps, charts and tables, evaluate content, and connect with experts. The National Conservation Easement Database (NCED) is the first national database of conservation easement information, compiling records from land trusts and public agencies throughout the United States.